Sai Yuan little Town is very attractive and suitable for the people who love to visit the the places called "Non-Crowded Beaches area", and love to overnight in the small town - not too much noise, but fun. "2 Days 1 Night Sai-Yuan Package" is provided all the things to fullfill those people's dream. The belowing is the detail and highlight pictures of every charming un-crowded places in this package, please read the detail of the program and submit the booking. Lam Ka Beach is the beautiful beach for the local people - no beach traders on beach side. So there no any tour company recommend the tourist to this beach. For sure non-crowded beache, especially tourists. We included this unseen beach on the package already. Rawai Beach is the first beach is promoted to be the tourism place of Phuket. At the moment is a great place for having a classic dinner on the beach. And there are many fresh local seafood restaurants - along the beach. The price of seafood here is quite cheaper than the other. The must go place of Phuket, Prom-Thep Sunset View Point is the world class beautiful of sunset view. 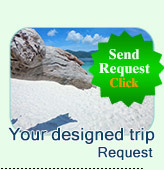 In this package, you can be waiting the most beautiful moment (Sunset) on the cape and take the nices photo on Phuket Holiday Time. Ya Nui Beach: A small beach is hidden amid the mountain on the way from Nai Harn Beach to Wind Mill. This beach is the top destination for the discovering tourist style. The white sandy beach with a limestone mountain on the water is the great place for swimming and snorkeling. TripAdvisor's comments from the tourist around the world, they agree that Nai Harn Beach become to be the best destination for world class. It is the 3rd of 10th world beaches those the tourist dream to visit at least one time in life. Karon View Point or 3 Beaches View point is the tourism point that everyone must visit as having the holiday in Phuket. The car from must slowly run and climb up to the top of the mountain. The great view of Karon Beach, Kata Beach and Kata Noi beahc is shown. 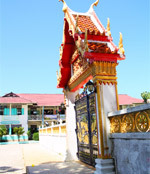 The temple of Rawai Beach or called as Swang R-Rom Temple is the place showing the traditional of the original Buddhist on Sai Yuan Area. 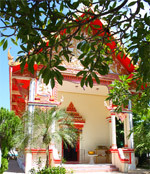 This package will take you to show respect the holy monk in the temple, as well as take a nice picture of unique building of the temple. Sai-Yuan Area Package: 2 Days 1 Night. 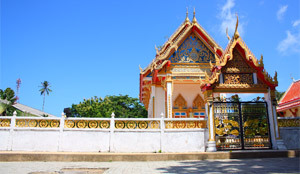 "Sai Yuan Package of Phuket is the one can offer so many benefit by booking this tour package in the program of your holiday in Phuket." The tourist who stays in "Sai-Yuan Town can visit all the places surrounding. 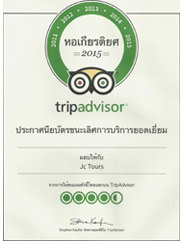 However, Jc.Tour had set up a great simple package benefit for every tourist who visit Phuket. The Travellers' hostel is a nice and cleanlines hostel in thist little town. It is in the center of Saiyuan Town on the country road to the Nai-Harn Beach. 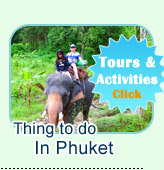 From the hotel, you can walk or cycling to every beaches and interesting places of Phuket very easy.